Padmakumar is a University Gold Medallist in his Bachelor’s and Master’s Degree in Management from Madurai Kamaraj University. He has over twenty five years of experience in large Corporates handling Corporate Planning, Business Development and Operations Excellence. He started his career with Hindustan Unilever Limited as a Territory Sales In-charge (TSI) in the Personal Products Division. He was based in Coimbatore and managed C&F Agents and Redistribution Stockists across twelve cities and towns in Tamil Nadu. After his post-graduation in Management, Padmakumar joined CMC in the Business Development function. He handled sectors such as Power, Ports & Cargo and Tourism and closed deals for several large engagements in these sectors, both within India and globally. Later he moved to HTC as a General Manager, responsible for presales activities in Europe and USA. He then took up the role of Head – Global Pursuit Services at Microsoft, and built and led a High Performance Team providing presales support for Consulting Sales. During his tenure at Microsoft, Global Pursuit Services team grew from a team size of one to over 40. The team provided services starting with deal prequalification, through support at various stages of the sales cycle up to deal closure. 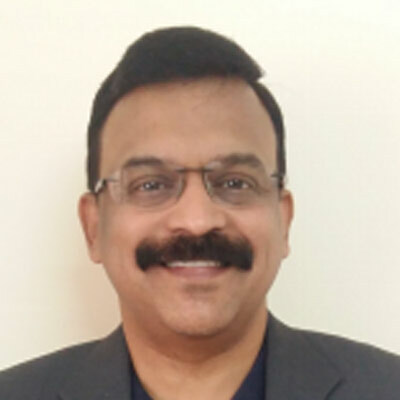 Padmakumar has travelled to over 20 countries on business and established country level teams and alliance partnerships as a part of the Go-to-market strategies for various products and service offerings. Past Division Governor for Division H of Toastmasters International, a communication and leadership development institution with over 15,400 clubs in 135 countries. Active in local chapter of AIESEC, the international student exchange body; participation in training interns on management topics, and interviewing interns for overseas project assignments. Guest Lectures in educational institutions such as Amrita Institute of Management, Coimbatore, Meenakshi College of Engineering, Chennai, Administrative Staff College of India, Hyderabad, Engineering Staff College of India, Hyderabad. Expert Panel speaker in TV programs such as “New Age News”; focusing on emerging technologies and their use in various sectors such as Retail, HealthCare, Entertainment and Manufacturing. ICF Accredited Coach: Helping startup entrepreneurs refine their business ideas, put together viable business plans, pitch their idea to investors, and initial staffing, scale-up and stabilization. Enterprise Consultants Assn. : One-off engagements for enterprises on Corporate Strategy, Business Development, Process Value Re-engineering, Maverick Resourcing, Packaging and Pricing. After a successful career in top MNCs (IBM, Accenture etc) for about 14 years, Amita (MCA, PMP certified, qualified Image Consultant and diploma holder in personal counselling) took her love of people and personality to the forefront of her work. Her past revolved around Project Management, Corporate Training & People Management and various other stereo-type corporate activities; while her true passion lies in helping people to improve their lives personally and professionally that empowers them to reflect their true inner-self. Amita is a passionate, multi-faceted and committed individual. She has presented various trainings and workshops across verticals for both professional and personal groups. Her critical thinking in Soft Skills Training, Personal Counselling, Students Career, Management Consulting, etc within the personal and professional world is well-received and recognised in her professional sphere. Her experience in connecting with strangers like she knows them for long, displays her true love for her work and that is reflected in the excellent feedback that she receives. Organizations she has trained for include Symphony Teleca, Hitachi, ITC, L&T, Tata Teleservices, Image Consulting Business Institute, Brigade Groups, Vijaya Bank, MModal, Sasken, Christ College, Dayanand Sagar Engg College, Seshadripuram Institute of Management Studies, City College, Healthzone, UPTEC Computer Consultancy, Mount Litera Zee School (Teachers training) etc. Anand is a MA in Human Resource Management from Northumbria University (UK) with over 18 years of work experience in organizations like TERI, McKinsey & Co, Ma Foi Management Consultants, Wipro Technologies,Crestpoint Consultants, etc. Over his career span, he has been involved actively in the areas of Learning & Development, Facilitating Management Development training programs, Program Management, Project Management, ERP Implementation Management, Visual Aids Design, Web Development, etc. At Wipro Technologies, Anand has been an in-house faculty within Talent Transformation & Corporate HRD groups for a period of 4 years, where he led training and development programs for a large number of people (at various levels of the organization). Other organizations and educational institutions that he has trained for include BHEL, L&T, Godrej, Mindtree, Cognizant, The Institute of Chartered Accountants of India (ICAI), National Institute of Fashion Technology (NIFT), & Christ University(Bangalore). He is a Certified Professional Behavioural Analyst in the psychometric assessment tools DISC & PAPI-I. He is certified as a facilitator in the global training programs of DDI and Dale Carnegie. He is also a BPM (Bullet Proof Manager) certified facilitator in Crestcom International's Bullet Proof Manager programs. Currently, following the concept of continuous learning, Anand is pursuing his higher education in MPhil and works as an independent consultant/Guest faculty/ Facilitator/Trainer on a freelance mode. He is continuously passionate about bringing a difference to people's lives through structured knowledge dissemination and facilitation of active learning in his workshops and training programs. Mini is a Science graduate with Masters in Psychology from Madras University. She has a Business Management Certificate from IIM (Lucknow) and over twenty five years of experience in varied sectors like the Defence Forces, Corporate Sector and Non Profit Organisations. She joined the Indian Air Force as part of the first batch of women officers in 1992. After thirteen years, she moved on to explore the education and corporate sector. 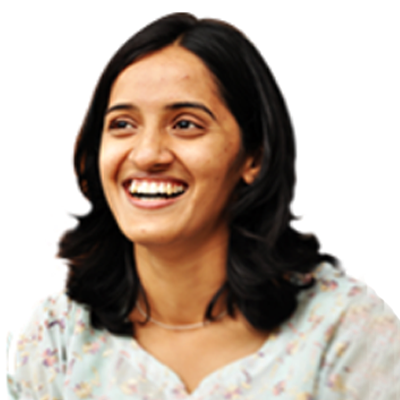 Her experience includes writing academic books for mid-school students, translating world leaders’ speeches for the magazine ‘Manushi’ & articles for the United Nations Youth magazine, working as a business development manager in the learning and development space and as a resource mobilization manager with Concern India Foundation. She has been a facilitator for the last 10 years. The value of participating in & building learning communities based on mutual respect, and creating workplaces where people matter, are her facilitation drivers. Mini’s approach to facilitation is holistic. With an eye on individual parts, as a means to tie everything into a well-functioning system of thinking and application, her style tilts towards developing long term motivation to help participants achieve their goals. Her expertise includes Communication, Emotional Intelligence, Personality Development, Change Management and Team building. She is accredited with Harrison Assessments International and has been one of the twelve worldwide Teaching Assistants for the Social Psychology course run by Wesleyan University for Coursera. Over the last 18 years, she has worked with Business Leaders to create Human Capital Strategy in various shades of Learning and Development, Org. Design, Talent Engagement, Change Leadership etc. She has contributed to organizations by partnering, consulting and setting the pace for execution. Karuna is a DiSC certified trainer as well as being a certified facilitator for the renowned Bulletproof manager program. She is certified in Designing and Implementation of Assessment & Development Centers and is also a certified Instructional Designer. She is also an certified Harrison Assessor. She has Designed and Delivered training for all key profiles in the organization including Freshers, Project Managers, Program Managers, Senior Managers and Sr Leaders. Initiatives designed and implemented by her have been awarded by the HRD congress both at a national level as well as at an APAC level. Sanjay is an accomplished HR professional with over 22+ years of rich multi-sector, multi-geography experience in the corporate sector. 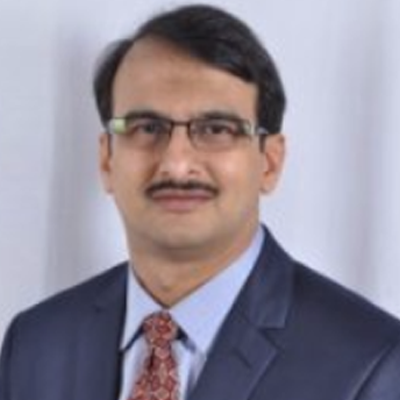 With extensive exposure to diverse industries like Hospitality, IT/ITeS, Pharmaceutical and Automotive, he has handled the entire gamut of strategic and operational initiatives within HR; he has worked with large organizations like GE Capital, ICICI Bank, DELL, Satyam Computers, Mylan Inc. and Ashok Leyland. As a strategic partner, he has been involved in setting up and streamlining HR functions; has experience in framing HR policies, frameworks, HR technology implementation and advising business leaders on optimal organizational designs. He has successfully lead HR technology projects for large corporations and set up talent development verticals from scratch. In his roles as a talent specialist, he has managed the complete scope of the talent & OD functions covering Talent Development, Employee Engagement, Succession Planning and Leadership Development. Sanjay has been responsible for creating competency frameworks, career path matrices, and customized leadership development initiatives for all levels of Managers/Leaders. He is experienced in conducting customized assessment and development centres. A commerce graduate from Osmania University Sanjay did his MBA (HR) from Institute of Management Development, Seychelles and a Management Development Program from the Indian School of Business (ISB). He is a certified Senior Professional of Human Resources (SPHR) from SHRM, USA. He is proficient in assessing talent through various psychometric tools like Thomas Profiling, MBTI, PAPI, Harrison’s. He is also a certified assessor for INSIGHTS, a specialized psychometric tool through INSIGHTS Corporation, Canada. Sanjay is an executive coach and has managed multiple coaching assignments for mid and senior level business leaders in Satyam, Mylan Inc. and Ashok Leyland. As a generalist, he has managed the entire range of employee life cycle activities as a Business Partner for large SBUs. These include manpower planning, talent acquisition, attrition management, employee grievance handling, attendance & leave management, payroll, etc. Sanjay’s ability to connect with stakeholders across the hierarchy of the organization and his innate leadership qualities of strategic thinking, good communication and problem solving give him an edge in managing large and diverse teams. Sanjay is the recipient of numerous awards, both as an individual Manager and as a functional head. 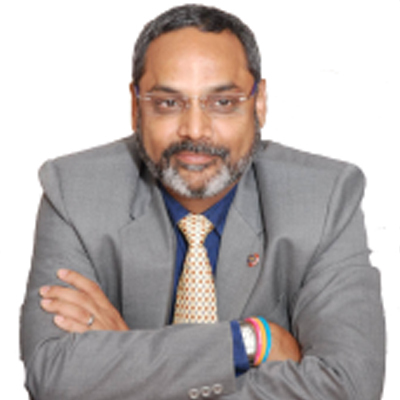 Under his leadership, he has been instrumental in Satyam BPO (now Tech Mahindra) securing the “Golden Peacock National Training Award” as the best training organization for the year 2006. He has been adjudged among the Top 10 “People Managers” for the year 2001 by GE Capital International Services- GECIS now GENPACT. Sanjay also holds memberships of professional associations like NHRD and SHRM. He is proficient in multiple languages namely Hindi, Kannada, Tamil and Telugu and a couple of foreign languages like German, Creole along with basic working knowledge of French. Viiveck has 30+ years of work experience in well-known corporate houses, with a proven track record for excellence and dynamic leadership. He has successfully executed key positions of diverse nature and capacities during his career. He effectively handled operational and strategic responsibilities and is a result-oriented individual. Viiveck has seen immense success at setting up and managing profit center operations, corporate planning and business development. His roles entailed setting up policies and processes in start-ups as well as exposure to multi industries viz. Yellow Pages, Travel, Telecommunications, Office Automation, BPO, Insurance, Logistics, and Document Storage & Management. He has rich experience in building brand equity for products and organizations. Viiveck is known for high levels of integrity, professional loyalty, and maturity. His leadership skills, strong commitment to ethical and professional standards was duly recognized with an award for “Best Ethics in Business” by then Civil Aviation Minister - Praful Patel. During his tenure in the travel industry, he was also recognized as an industry “Thought Leader”. He is a Zenger Miller Frontline Leadership Certified Trainer. Viiveck is an ICF (International Coaching Federation) certified professional Coach. Viiveck’s portfolio includes the following roles: Board Member - Hyderabad Angels, Investor with 50K Ventures and Lead Angels, Founding Member – IIIT Seed Fund, Advisory Board Member JNTU(Jawaharlal Nehru Technical University) to promote Innovation and Entrepreneurship, Convener – Hyderabad Hackers, Mentor – Start-up Ecosystem, Co-Organizer– TEDxHyderabad, General Secretary – SAHE (Society for Advancement of Human Endeavour) and Past President - Rotary Club of Miyapur. As an Investor, his investments are sector agnostic and currently include 15 start-ups. At any given point of time he mentors approximately 10 or more start-ups. 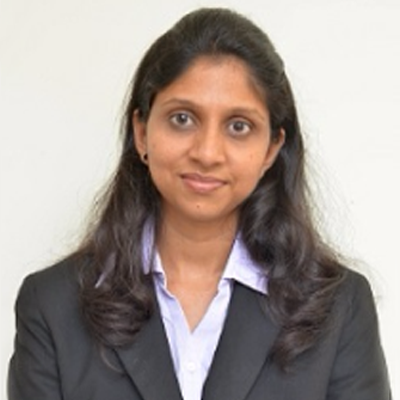 Academically astute, Viiveck is armed with a PGDBA (Marketing) from the Institute of Management Development and Research in Pune and is an LLB in Labor Laws and Taxation from Pune University. He is a university topper in his graduation studies in Geology. Besides Coaching and Investing Viiveck decided to focus on social causes through SAHE (Society for Advancement of Human Endeavour - a not for profit society) to create social impact. He brings to the table an understanding of the corporate world and the network he built over the years, to connect the organisations in social space with those that can benefit them. His focus areas for social impact are largely around Educational Reforms, Healthcare, Environment, Women’s Issues and Adoption. His interests are Business Networking, Travel, Music Reading and Philanthropy. 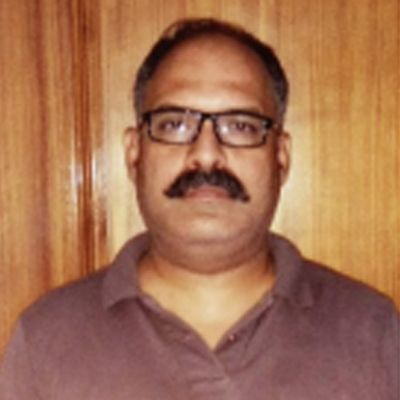 Jagan is BE in Computer Science and Engineering from National Institute of Technology (NIT), Rourkela and over two and half decades of experience in wide ranging roles in IT Industry, where his people capability development responsibility kept growing. From the origins of being a Software Implementer, his 21 years of association with Wipro Technologies took him through various levels of management. He has been in-house faculty within Talent Transformation & Corporate HRD groups for a period of seven years where he led training and development programs for large number of people (at various levels of organization) over the years. His expertise includes both individual and team oriented programs and has certifications such as Dale Carnegie, 7 Habits, FIRO-B interpersonal orientation, Bullet Proof Manager's Program, DDI facilitator training and Vital Smart's Crucial Conversations approach. He has a signature style of conducting Corporate readiness programs, apart from personally relating to enablement and transition challenges while taking up the managerial path. Jagan is passionate about every individual unleashing their inherent personal capability by overcoming the inner barriers. He had committed himself towards this endeavour by being an Introduction Leader and Coach with Landmark Worldwide where he makes his time available. This choice enables him with interactions with people from almost every walk of life, contrasting with his IT heavy Corporate career. Prapti is an accomplished Organizational Development professional. Walk into any of her workshops and you will see participants experiencing learning with a sense of freedom & spontaneity. Her expertise lies in creating the right mix of learning techniques (applied theatre, storytelling, murder mysteries, simulations & many more) that results in fun-filled programs, creative breakthroughs, an 'aha' moment by bringing in behaviours, models & theories to life. As a facilitator, I believe in the power of 'playing' to make individuals drop their guards, express them fully & engage in critical dialogues in a safe, fun & imaginative way. She holds a MBA from University of Pune, a certified facilitator of six thinking hats from De Bono Thinking Systems, Iowa, USA, a certified analyst from Thomas Personal Profile Analysis from UK, and a certified practitioner of Neuro Linguistic Program & Fire Walk. She has also done an intensive course in Storytelling & applied theatre. Organizations she has trained for include Amdocs, Satyam Computers, Sandvik Asia, Indian Card Clothing, Sanofi, The Leela, Adani, Binani Group, Alepo Technologies, Talentica Software, Parexel International, Landmark Group, PRA Health Sciences, Khinvasara Group and reputed Educational Institutions like Symbiosis, Indira Group of Institutes, IMERT & Jain group. With her exposure to various industries & a background in organizational Development & Training, she co-creates the content with active collaboration with the organization & thus facilitates the discovery of learning rather than 'teach'. The outcome always is a captivating journey where key messages are delivered simplistically while building practical skills. Namitha is an accomplished facilitator who believes in excellence through pursuing one's passion. She has trained corporate employees across different sectors as well as students. She has worked with clients from various domains to deliver wide range of focused training solutions. An Engineer by qualification, Namitha started her career with Wipro Technologies, Bangalore as a Project Engineer. While working in the IT field she discovered her passion towards training and coaching people, and went ahead in accomplishing her dream of being a behavioural facilitator. She is known for the enormous amount of energy she infuses into her sessions. She has experience working with clients from various segments like retail, hospitality, healthcare and automobiles, to deliver focused customer service training solutions for their workforce. 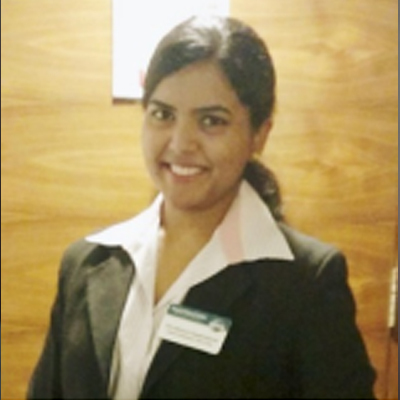 Namitha has a total of 10 years of work experience and 6 years is in Training & Development. Namitha is a Dale Carnegie certified trainer and a NLP practitioner. She is certified in training and development in hospitality from American Society of Training and Development (ASTD) and Transactional Analysis. She also holds an executive management certification from IIM Calcutta specialising in People Management. She is currently pursuing her Diploma in Training & Development from ISTD. Her core competencies include areas such as corporate readiness and induction, communication, self-confidence, etiquette, assertiveness, customer centricity, emotional intelligence, people management, time management, team building and outbound training. Clients: Wipro Technologies, HP, Dayanand Sagar Institutes, Motherhood Hospitals, Columbia Asia, Advice America, Titan, Mitsubishi Electricals, Siemens, AT&T, Geometrics,Wells Fargo, Deutsche Bank etc. Bhavana holds Masters in Computer Applications from Osmania University with rich experience in projects in Oracle Applications at Wipro Technologies, GE (USA) and Sierra Atlantic. Her strength lies in dealing with customers, project teams and senior management. Bhavana was a MITR (HR initiative) volunteer, a trained counsellor at Wipro Technologies to help fellow Wiproites to cope with crisis faced in personal and professional life. She was also instrumental in building practice related objectives in terms of acquiring new talent, extending learning to others, also Organised, managed and conducted technical trainings while at Wipro. 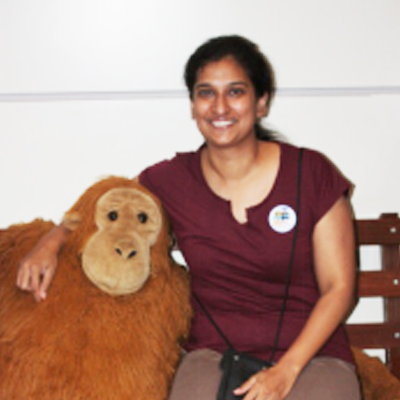 Bhavana picked up interest in psychology and moved to complete Masters in Psychology from Madras University. She pursued Diploma in Training and Development from ISTD thereafter. Having worked with leading corporate giants for a decade, she understands the demands and needs of training in corporate world. She possess excellent communication skills and has good connect with the audience. Educational psychology is another area of interest of hers. She has been conducting training programs and workshop for students to better their academic performance. She has also come up with training programs for faculty of school and colleges. She is also mentoring engineering students and making them corporate ready. She was recently invited as a speaker to talk on "Women in leadership". Ravinder Singh Panwar has over 17 years’ of experience and is a commerce graduate, plus, post graduate diploma in Information System Management from NIIT. With almost two decades experience in the field of information development and instructional design, ‘Ravi’ was one of the first to do the learning through multimedia called 'Learning through Exploration, Discovery and Adventure' for NIIT@schools. Throughout his career Ravi has worked with product based MNCs like CSC, FIS, BMC software, IBM - across diverse sectors ranging from IT, Insurance, Banking and Finance and Mobile applications. He has worked for eLearning solution for publishing houses such as MacMillan Publishers on Microsoft Certified Solutions Expert Certification and NIIT’s Netvarsity, an online university. He owned the content library for an Enterprise Insurance application that caters to the some of the renowned US insurance sector player like PEMCO, GEICO, and Progressive Corporations. He has worked for the Dexterra Mobile Command Center documentation, a fully automated mobile application for receiving service requests, work order scheduling, and task allocation. The application is aimed at delivering the right task to the right person at the right time with minimum cost to the business. With the FIS total banking solutions, Ravi managed the documentation for the US Financial and Banking sector which enable mid-tier, large and global financial institutions to surround their legacy core platform with online banking components that helped them progressively transform their core banking systems. The philosophical nature and technological interest is what makes Ravi a complete content strategist – a technical writer with design thinking. 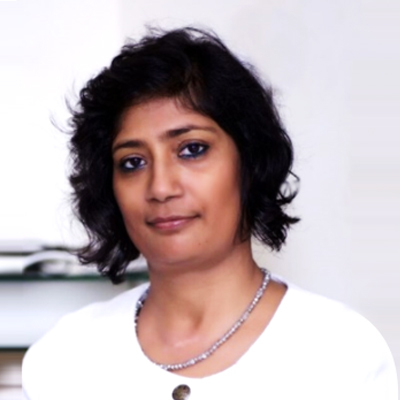 Preeti Damera is a Sr. Training Consultant with over 11 years of experience in the field of Training & Development. A Post Graduate in Business Management (HR) from EMPI Business School, New Delhi, Preeti is a passionate trainer and an ardent believer in Progressive Learning as the path to individual as well as organizational Growth & Development. She started her career with Omam Consultants and handled profile of headhunting & recruiting for various National & Multinational clients. Later, Preeti moved to Cyient Technologies (Erstwhile Infotech Enterprises Pvt.Ltd), wherein she made key contributions in the areas of learning & development. Her proactive training methodologies and customer centric approach significantly boosted clients’ satisfaction levels. 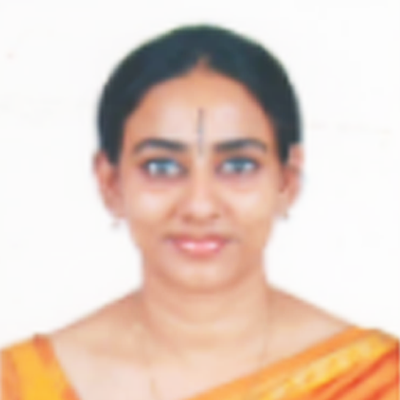 Preeti was instrumental in developing a full-fledged L&D center in Bangalore for the company. She was also actively involved in delivery of soft skills trainings, conducting group discussions, interviews and performance appraisal programmes. 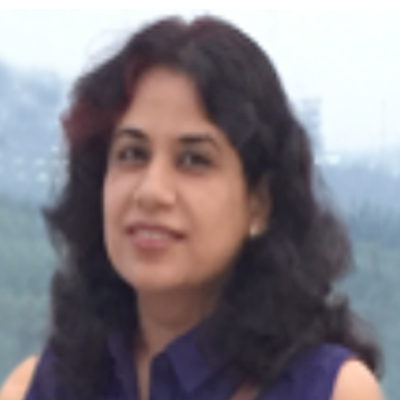 As a Training Specialist at LG Soft Ltd, Preeti had lead the training department. She initiated many learning platforms for employees. Post the Corporate Stint, she started working as a Training Consultant. She is specialized in content development, training delivery and online trainings. Preeti has designed and developed many training programs such as Women in Corporate World, Powerful Presentations, Business Etiquette & Corporate Grooming, Personal & Interpersonal Effectiveness, Campus to Corporate transition, The Effective Team Player, Stress Management, Corporate Culture & Corporate Behavior etc. Aishwarya is a Software Engineer by profession, and has nearly 3 years of industrial experience as a Consultant at TIBCO Software, India that encompasses working with globally diverse teams. During her stint as a Consultant, she took up opportunities to train her team and the freshly recruited employees on software products and services. These opportunities helped her discover the passion she had for training and coaching people in behavioral and leadership skills. 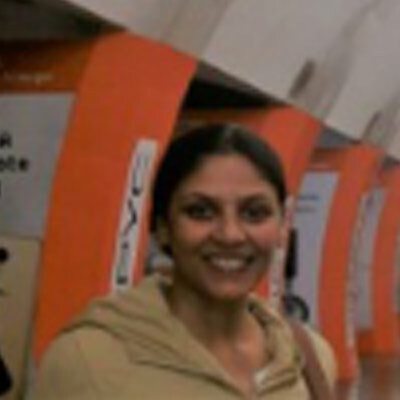 Aishwarya is currently pursuing her Diploma in Training and Development from the ISTD. She is also pursuing her M.A in Industrial Psychology to analyze about people, organizations and train them to excel. Aishwarya has also been certified as a 'Leader of Learning' by HarvardX, an online initiative by the Harvard University. She holds experience in designing case studies for trainings customized to organization need, development of online courses for students and co-facilitating training programs for Crossover Leadership partners. She is an accomplished public speaker from the Toastmasters International since the last 3 years and has won the ‘Triple Crown Achiever’ Award in 2016 for accomplishing the titles of ‘Competent Communicator’, ‘Competent Leader’ and ‘Advanced Leader Bronze’ within 8 months. She has delivered innumerous speeches in different forums and motivated people in the areas of Public speaking, Leadership Development & Strategies and Communication Skills. She promotes how men and women together can emerge as great leaders in a diverse organization and shares evidence of Psychology playing a role in productive performance. Her focus has always been to blend concepts of Psychology in Student and Corporate training making the session a holistic one. Aishwarya strongly believes that it is a bliss when one’s career and passion come together as a profession. Her core expertise includes mentoring students on Staying Motivated, Goal setting and Communication skills. She has also co-facilitated programs on Emotional Intelligence, Contextual Leadership, Feedback Management and Building High Performance Teams for Corporates. A dancer, public speaker, writer and blogger by passion, Aishwarya has a unique way of expressing her ideas and thoughts and articulating it in an engaging way for all kinds of audience. Her varied interest towards creativity, arts and writing has helped her spread a positive outlook and grow into a well-groomed professional. 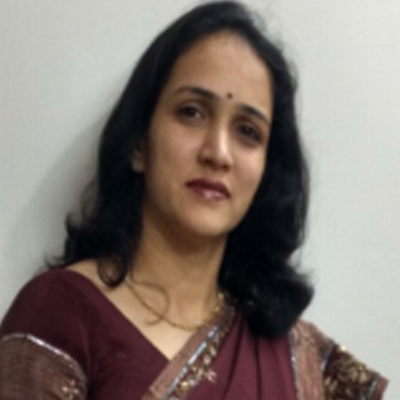 Ms. Sulbha Rathi has around 11 years of overall experience, of which about 10 years in education industry handling administration work and taking private tuitions in IGCSE, ICSE and CBSE stream. She is an integral part of the core team of Crossover Leadership Partners - an emerging corporate consulting firm that helps organizations a holistic framework covering the end to end needs of leadership development and talent management from strategy to Assessments to Downstream Implementation. She is the single point of contact for execution of entire Crossover Journey which involves Program Runs and assisting Program Managers to execute the activities in a systematic and organized approach. She is also the face of the Crossover Leadership when it comes to the customer interaction on account of managing the entire customer profile and activities are performed as per the agreed scope and exceeding customer’s satisfaction. Completed Master’s from Commerce Stream from Rajasthan University. Sabina is very passionate about interacting with people, which is very well showcased through out her work career. She is a commerce graudate from Mumbai university.Highly competant, goal orientated and passionate with 15 years of total work experience, which comprises of about 5 years of international market exposure. She demonstrates rich experience of working in service, sales & IT industry. Additionally, she loves to organize and manage events. Organisations she worked for are Zenta Pvt. Ltd. India (Mumbai), Dun & Bradstreet SAME (UAE), Ladbrokes Plc (UK), and Talent Sprint Pvt. Ltd. (Hyderbad). Sandip is a seasoned business leader with more than 30 years of experience spanning across Telecom, IT, Office Automation, Education and Power. He is an Electrical & Electronics Engineer from BITS Pilani. 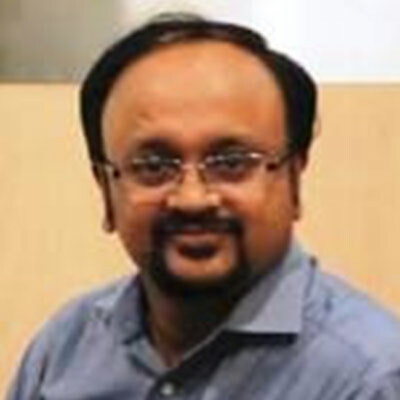 He was the AVP in Reliance Communications and headed the Retail Chain and Customer Delivery functions which included “Sales & Operations of franchised and own stores, Training and Development, Customer Care, Retention, Call centre, Billing and Collection, Acquisition Process Interface and Regulatory” verticals. Prior to this he was the Country Manager Operations at Aptech Limited, Mumbai, handling the Corporate Training Division which sources and executes all national bulk orders from corporate across the country. He also had a long stint with the conglomerate Larsen & Toubro Ltd at Mumbai, Delhi, Chennai and Bhopal, handling various assignments including sales and service of Office Automation, Computer Peripherals, Telecom Exchanges, Switchgear and other allied electronics products. His vast experience in various functions include Business Development both in retail and enterprise. Customer service, Marketing, Operations give him the unique advantage to relate the training needs with the success and productivity of the organization. He is a highly motivated corporate trainer with experience in training small and large groups across diverse industries. Proven success in leveraging actual market scenarios and realities, in training programs and integrate instructional tools to provide training which guarantees’ measurable outputs. In his free time, he loves swimming and is a health freak. HEMALI BHARANI is a management postgraduate in marketing from Birla Institute of Management Technology, New Delhi with over 14 years of corporate experience in Banking & Finance across Indian & Foreign Banks and NBFCs. She is a seasoned professional with multi-dimensional skillset and has worked across businesses in the BFSI ranging from Sales, Relationship Management, Operations, Training and Coaching, New Products and Financial Planning. Hemali has been into leadership roles for Sales of Asset lending & Liability products, Supply chain business, SMEs, FOREX, Personal Financial Services. During her corporate career, Hemali has also been a part of Training & Product team with one of the largest Indian private bank where she trained and coached the sales teams across regions on banking products, advanced business communication and sales skill development. Her audience profiles range from Relationship Managers, Credit/sales executives and New campus hires. Hemali is also a graduate from Dale Carnegie Training India for their training module on 'Train The Trainer'. She has undertaken a Technical & Soft Skills LEAP Certification Program with HDFC Mutual Fund. Hemali also holds a Mutual Fund Distributor Certification from AMFI (Association of Mutual Funds in India). She has helped develop modules for training the team on key banking products. Hemali is currently working on developing content for one of the reputed training companies. She has been instrumental in implementing innovative learning initiatives using her rich industry experience. Hemali possesses entrepreneurial pedigree with exceptional motivation & people management skills. She is a good orator and a confident presenter who could deliver highly engaging sessions with diverse audience and builds an immediate connect with them. Hemali would be able to help her audience develop relaxed communication style, leadership styles, motivate and coach different personality type using different engaging methodologies like case studies, role-plays, and experiential activities in her workshops. Her industry experience into sales & people-centric roles helps her mentor new hires and students in terms of career guidance, handling on-campus recruitment and selection processes. 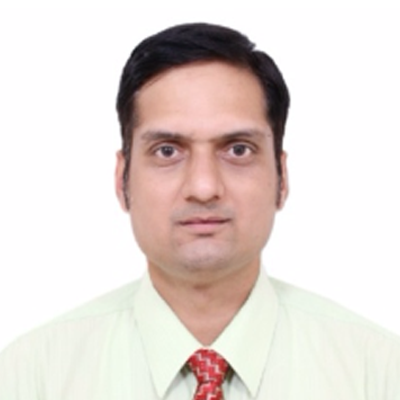 Prashant is highly experienced trainer and consultant in the field of Project Management and Business Analysis. 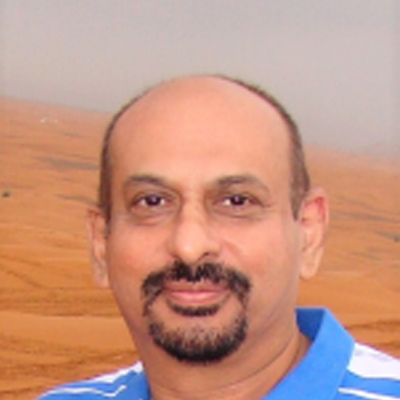 He has more than 21 years of experience in IT industry working with customers across industries. A certified PMP, Prince-2 Practitioner and Certified Scrum Master; Prashant is conducting Project Management training programs for more than 8 years. He has expertise in Project Management competency framework definition, conducting training programs in the area of project management & business analysis that are customized to the needs of customers, development of Project Manager assessments and mentoring project managers. He has conducted training programs for leading organizations like Capgemini, HSBC, WMWare, Wipro, Cisco, Vodafone, Lupin. He has also conducted Project Management training programs globally including multiple programs in UK and USA. Before moving into training, Prashant was responsible for managing global programs and projects spanning across geographies. 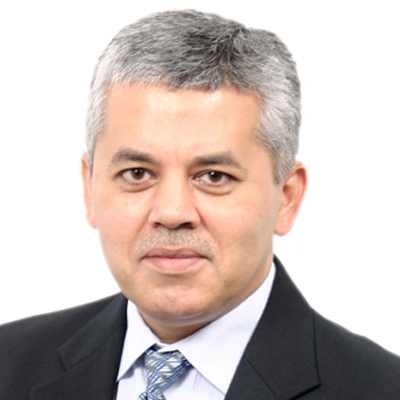 He has worked with leading organizations like Wipro Technologies, IBM, Syntel and Tech Mahindra. Prashant is recipient of award for 'Excellence in Project Management' from a customer of Wipro Technologies as well as from his employers Wipro Technologies, Syntel and Tech Mahindra. He has spent more than 8 years at onsite in various customer facing roles. Prashant completed his Masters in Computer Applications in 1994 from premier institute VJTI in Mumbai. His experience and knowledge combined with passion for training and developing project managers make his training programs a great learning experience for participants. Yogesh Agiwal is an internationally accomplished professional with 18 years in IT Business and 9 years in Leadership Development. On the IT Business side he successfully delivered large programs across geographies for fortune 500 clients and the only leader so far at Wipro to be awarded two times “Best People Manager Award” by Azim Premji. On Learning & Development side he has successfully designed, developed and implemented multiple leadership development programs across levels combining his business experience with world class content and frameworks from Harvard Business School Publishing, Franklin Covey, Dale Carnegie, Vital Smarts and many other partners. Built a solid in-house leadership development team on content creation, facilitation, psychometric assessments, experiential learning and interventions. Operationally managed programs across globe in both regular and flipped classroom format. He has personally trained 700 Project Managers, 250 Delivery Managers and 120 Program Managers across USA, UK and Asia. He has been a speaker at many National and International Forums such as Chief Learning Officers Summit, Harvard Business School Publishing (HBSP) Partners Summit, Dale Carnegie 100 Year Convention in Hawaii and many more. Srilekha is a post graduate in Public Administration from Madras University after a graduation in commerce from the same University. She also has done post graduate diploma in Sales and Marketing from NIS and post graduate diploma in Journalism from Barathiya Vidhya Bhavan and has over two decades experience in various fields. She started her career as research analyst with FMCG products responsible for branding, product performance and market evaluation. She moved to become a business journalist reporting on business and selling space for a magazine called Industrial Economist. Before moving to the Learning and Development space she also has worked as a kinder garden teacher for two years with Kumaran's Group of Schools in Bangalore. She has been part of the people development industry since 2004. This diversity has helped her harness skills on people capability. Since 2004 she has been an independent consultant contributing her wisdom to various industries in strategic leadership development space facilitating programs on various topics in leadership. She is certified ICF Ericson coach and has over 700 hours of coaching experience. Her clientale include Microsoft, Accenture, Wipro, PWC, KPIT Cummins, KLA Tencore, Ramco Systems, Saint Gobian and Indian oil Corporation. Her expertise include individual and team oriented programs, both in bound and out bound experiential learning and has certifications such as Dale Carnegie, Belbin and ICF Ericson Coach. She has delivered a number of PMI accredited program. Travelled widely to facilitate programs outside India. She has a signature style of conducting corporate readiness program, apart from personally relating to enablement and transition challenges in the managerial path. 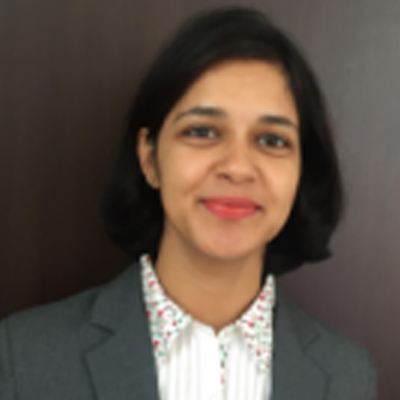 Srilekha is passionate and committed about how every individual can unleash barriers and challenges in their career path by self initiated and structured learning . 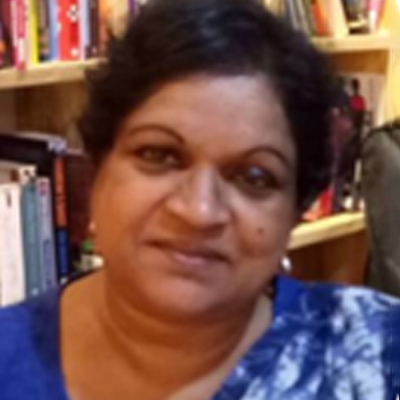 Anita Alex has over 17 years of experience in the Learning Space having worked across diverse sectors ranging from IT, Agriculture, Banking and Finance, Automobiles and K-12. 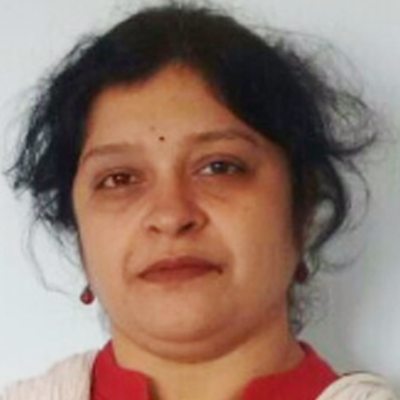 She has helped in the prototype and design of a variety of form factors such as Microsoft Official Distance Learning Curriculum (MODL) and Mobile Learning and championed the design and creation of an ILT product authoring tool which enabled the adoption of an integrated scripting tool for SMEs and vendors. She was one of the first Instructional designers to create structured curriculum for the Agriculture vertical, and helped create and adopt Hybrid Learning for farmers in US. With immense mastery of adoption Learning Models on both ILT and eLearning, she has worked on some of the most sold ILT courses for IT professionals in the world. She created the curriculum to teach English using iPad as a medium to children who has never been in touch with any learning in the remote villages of Chhattisgarh as part of a NGO initiative. A gold medallist in Marketing and Advertising, she loves travelling and exploring the world and has hiked the Brahmagiri mountains, enjoys cycling, playing basketball and badminton, and relaxes reading comics. 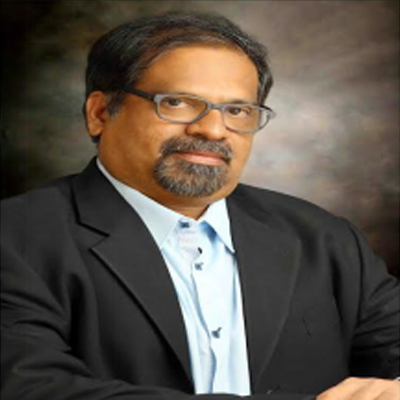 Mohanan has over 28 years of experience in facilitating training programs in Business Communication, European, American and APAC Culture, English Language and Intercultural Communication. 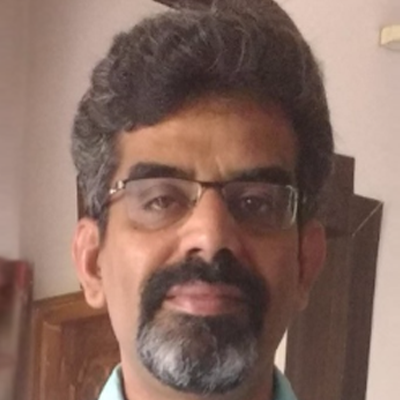 Mohanan was actively involved in developing the first accent neutralization program for entire back office operation for GE in India and later as a Senior Manager at Wipro was instrumental in setting up the Soft Skills Training Division. As part of Wipro Mission 10X he has trained hundreds of Engineering College Teachers and Professors across India in High Impact Teaching Skills Program designed by Dale Carnegie. Various Educational Institutes have invited him for Teacher Training Programs and as a Guest Speaker across India. Corporate participants in India and abroad have described his workshops as 'Superb', 'Inspirational', 'Thought Provoking', 'Outstanding' and 'Life Changing'. He packs his workshops with rich, result-oriented content, engaging activities and topical humor and is known for communicating with energy that is highly contagious. Mohanan is an alumnus of Pune University, Hyderabad Central University and CIEFL (Central Institute of English and Foreign Languages). He is certified in Crestcom, PAPI, DISC, Seven Habits, Intercultural Communication, and Dale Carnegie High Impact Presentation Skills and High Impact Teaching Skills (designed especially for Wipro's Mission 10x initiative). Lizzy Joseph is a Post Graduate in English Literature, with a B.Ed. in Biological Sciences. 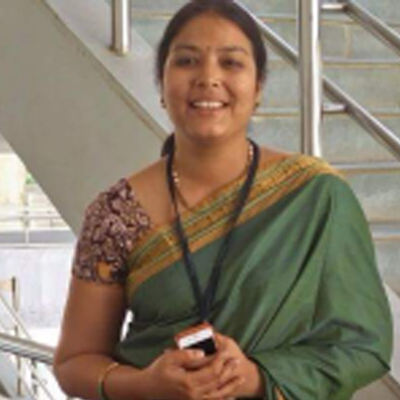 She has a long teaching career spread over twenty four years, teaching middle and high school students in two different CBSE schools of high repute. During her tenure as a language teacher she had the opportunity of attending innumerable workshops in the teaching of the English language conducted by the Oxford University Press. She has certifications in ‘Teaching of Communicative and Interactive English’, ‘Teaching of English as a Second Language’ and in ‘Teaching of English Poetry and Phonetics’ She is also a British Council, New Delhi, certified IELTS trainer, with an experience of over four years. She has two years of experience, training students for CAT who seek admissions into the top management institute of IIM. She had the opportunity of working as a language trainer in Frankfinn Institute of Air Hostess Training, Hyderabad, for a short stint of two years. She has five years of experience working with HSBC, in the hiring process of screening candidates for North America. She is extremely passionate about the language, and is a voracious reader. Reading is her lifeline and she is a blogger as well. 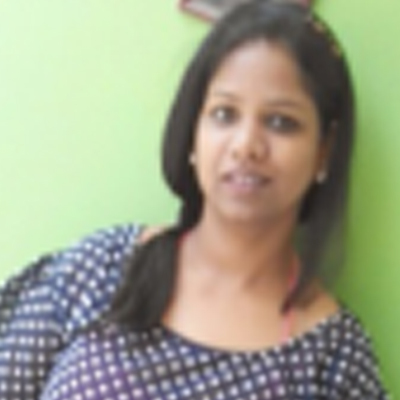 Hima Bindu.Jonnalagadda has a total of 10 years’ experience in Sales, Marketing & Operations field. After Completing her Masters in Business Administration in Sales & supply Chain Management, she worked in various fields like Media, Financial Institutions, Construction Business and Learning & Development. 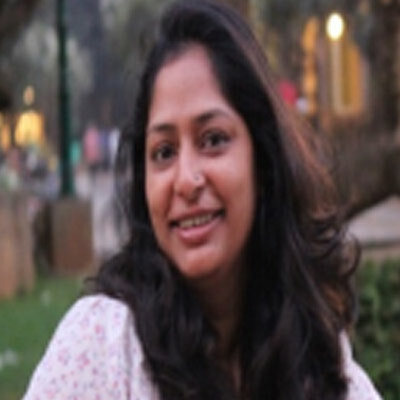 Her forte is people management and organizing events for lead generation. She worked in the areas of Sales, Marketing, Operations Management, Project Management. 2. Kotak Financial Planning & Services Pvt. Ltd.
4. HDFC Sales Pvt. Ltd.